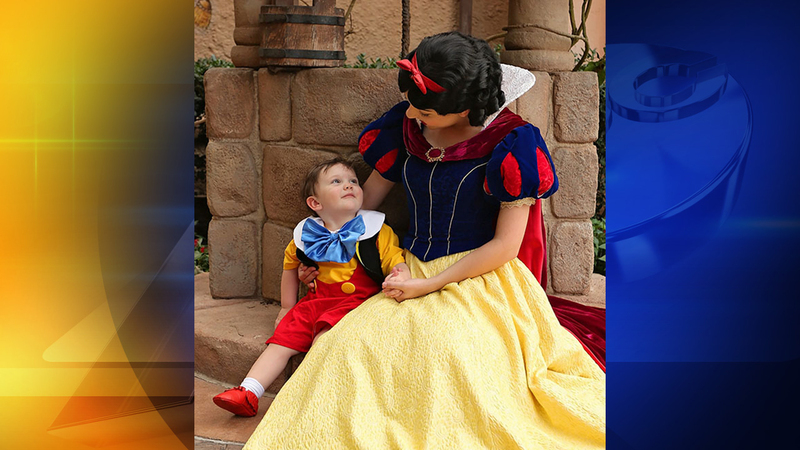 WAKE COUNTY, NC -- A local 2-year-old with autism fell in love with Snow White at Disney World, and his mom caught it all on video. The internet can't get enough. Jackson Coley, or Jack Jack as his family likes to call him, was recently diagnosed with autism. His mother, Amanda Coley, said he's normally very quiet and doesn't react much to strangers but when he met Snow White on a family vacation to Disney World his eyes lit up. "We see that side of him all the time - he's very lovable with us and shows a lot of eye contact with us ... when he's in the mood," Coley said. "But towards strangers he pretty much ignores them. He doesn't let them pick him up or touch him. "For us to see that type of reaction with someone like Snow White - he's never seen the movie before, he's never seen anything about Snow White before - so for us to see that kind of reaction is huge," she added. The adorable video has received over a million views on Facebook in just a matter of days. Coley said her son was smitten. 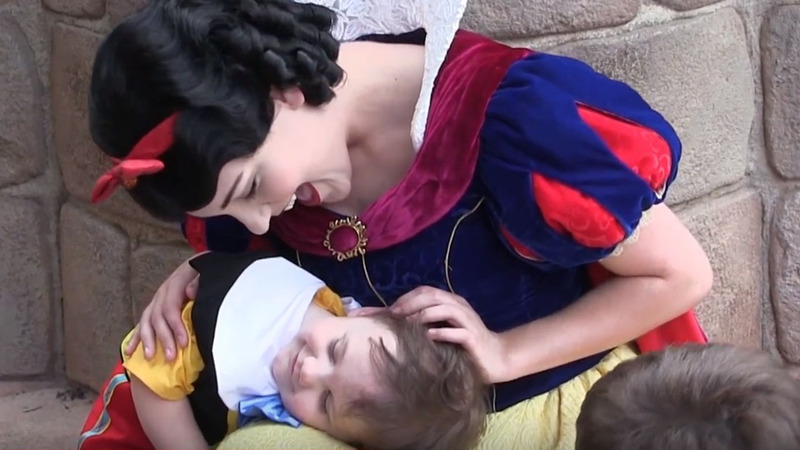 In the heart-melting video you can see him smiling wide, looking up at the actress playing Snow White, even resting his head on the Disney princess as she laughs and holds his hand for pictures. Coley said she's grateful to the actress for spending time with Jackson and taking pictures. "I assume we'll never know who she is," she said. "But I would love for her to know how much it meant to us, and will forever mean to us, that she took that time with him and didn't rush it or make him feel uncomfortable in any way." Coley said she had to take the video off Facebook and upload it to YouTube after she started to receive hundreds of friend requests. Her new YouTube upload has received over 500,000 views in just two days. Coley and her husband have three sons, and their 9 year-old son Landon also has autism. "He's very high functioning - he rocks back and forth, but is extremely social and loves to sing and dance. He has probably the biggest personality you would find in a 9-year-old child," she said. She said they're a family of Disney fans - they're huge on going to Disney World every year. Coley said it's the only vacation they take and they save every penny to do it, but it's important for them because of the positive impact it's had on their sons. "It's very special and that's why we enjoy Disney so much. There's so much for them to interact with," she said. Coley said the trips have been great for her sons because all the scenery, costumes and characters help capture their attention and imagination, something that's not always easy to do. Like Jack-Jack with Snow White, she said the park has also unexpectedly struck a chord with her son Landon as well when the resort they stay at for every trip named their family "Family of the Day." It meant so much to Landon that he wrote a song about it, something Amanda said isn't easy for him to do because of the about of time and concentration that takes. She's even started a Facebook page called "Disney Adventures and Autism" for other families that have children with Autism. Coley is a family photographer so she's captured the magic of her family vacations with multiple videos and pictures of their trips every year. Her video surprising her kids with an early and extended trip last fall has over 23,000 views. Check out more of their adorable YouTube videos here. 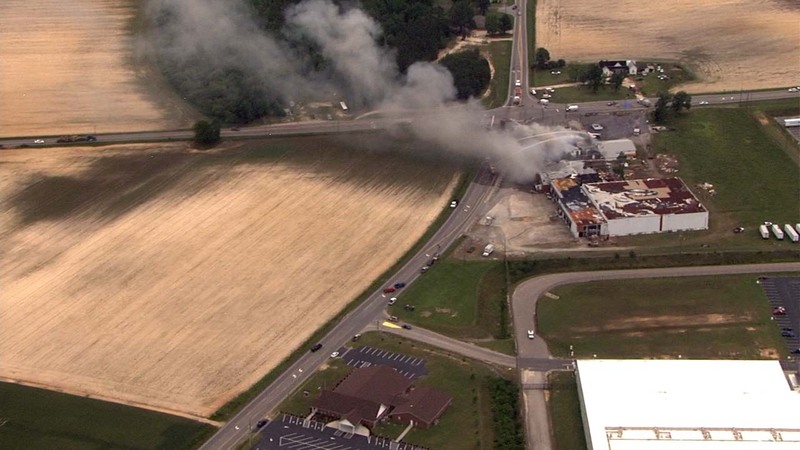 The Walt Disney Company is the parent company of ABC7 and ABC11.